Steve Perlman hopes you'll give the restructured company a chance. 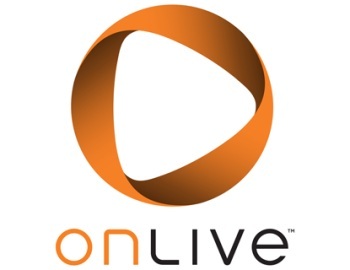 Steve Perlman - pausing briefly on his way out the door - issued an open message to OnLive fans, asking that they give the reborn cloud service an opportunity to show what it can do. He claimed it was a "relief" to be leaving, but gave incumbent CEO Charlie Jablonski and OpenLive's new Chairman, Gary Lauder, his full support. "For me," said Perlman, "the end of last week was the first time in a very long time where I could actually consider the possibility of moving on without having to worry about the company." Before that Perlman was still on what he described as the "treadmill", trying to keep the company afloat and on track. As of last week the company was finally stable, so Perlman could consider leaving; the tenor of the message suggests that his departure was his own choice, and not a necessary consequence of the bankruptcy restructure. "I have other projects long in need of my focus and attention," Perlman continued, "and Gary needed to lock down the structure for the new company. In the balance, it was a good time to move on, and Gary understood." He went on to ask that OnLive's customers give the new team "a chance to regroup and get rolling again." The full text of Perlman's message can be found here. All his talk of treadmills and round-the-clock work schedules could be seen as management hyperbole, but some claim Perlman was an obsessive micromanager. "Steve ... never empowered anybody," said one ex-employee, adding "he would tell people they were stupid in front of the entire office." It's quite possible that - for Perlman - OnLive was a treadmill but, if so, it may have been one of his own making.